Book at least 60 days in advance and get a 5% discount (excluding summer). 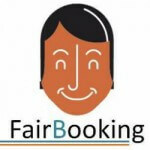 7% discount for all Fairbooking members on presentation of your card. Get a 10% discount on last minute bookings (subject to period).